Pop. 174. In Turnberry T., Huron C., on the Little Maitland R. and Hwys 86 & 87, 7 km SE of Wingham. The first settler, Alexander Duncan, arrived in 1853 and his wife, Margaret Hood, named the place Bluevale after a suburb of Glasgow, Scotland. 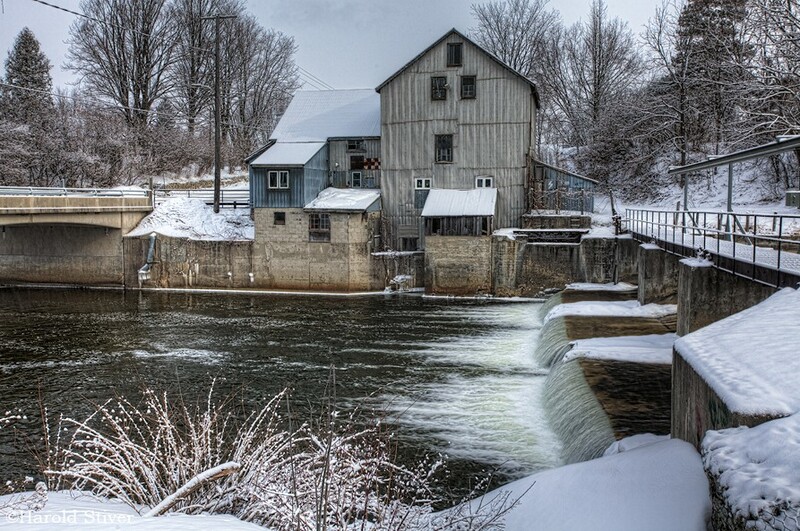 In 1856 the Leech brothers purchased land from Jacob Cantelon and built the first grist mill in the township. Have something to say about Bluevale?